WALNUT CREEK, CA – Monday, October 30, 2017– The Contra Costa Transportation Authority (CCTA) has announced an expanded partnership with Scoop Technologies. 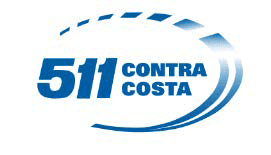 CCTA will utilize its transportation demand management program known as 511 Contra Costa to provide additional carpool incentives to Scoop drivers who carpool from or within Contra Costa. Scoop passengers who carpool will continue to receive a $2 discount, and now Scoop drivers will also receive an additional $2 driver reimbursement. Since the program launched in May of this year, carpoolers have saved 107,000 miles and 96,900 pounds of CO2 . The pilot program aims to decrease the number of cars on the road and lessen the traffic congestion on Contra Costa’s busy corridors. To qualify for the pilot program residents need to download the Scoop app to connect with fellow commuters in their area. The pilot launches today, Monday, October 30th, and commuters can start scheduling carpools now to take advantage of the $2 discounts. Scoop carpoolers carpooling to BART are also guaranteed free parking at the Concord and Pleasant Hill/Contra Costa Centre BART stations. Commuters can download the app at takescoop.com and enter their home and work locations. On a trip-bytrip basis, they’ll enter their commute details. At the scheduling deadline (9 PM the night before or 3:30 PM the day of for the afternoon commute) Scoop will match commuters together in safe and efficient carpools. All payments are handled inside the app, as well as directions and contact details for the trip. Funding for the carpool pilot is provided by the Bay Area Air Quality Management District’s Transportation Fund For Clean Air Program Manager Funds and the Contra Costa Transportation Authority’s Measure J sales tax. Scoop Technologies Inc. is a San Francisco-based company that helps commuters enjoy convenient carpooling. Founded in 2015 by brothers Jon and Rob Sadow, Scoop is currently available throughout the Bay Area and Seattle.